Today’s field fashion post is inspired by former First Lady Laura Bush! 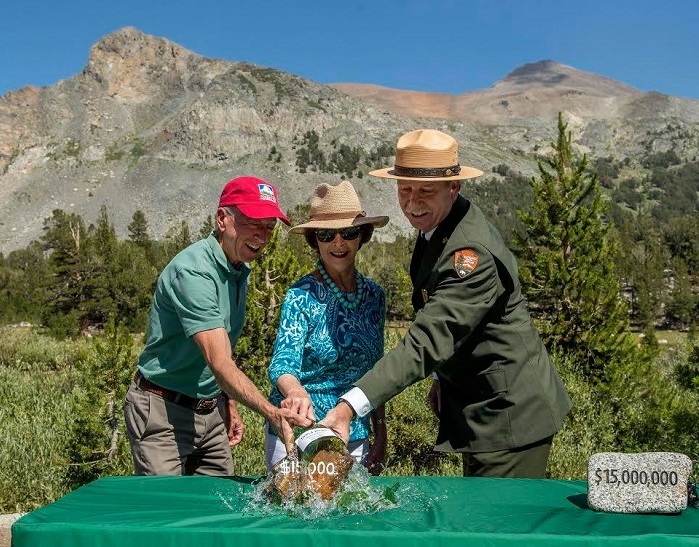 You may not know that Mrs. Bush takes a trip every single year with her childhood girlfriends to a national park, where she roughs it–hikes, rafts, rides horses, and camps under the stars. In the public eye, she’s a great advocate for the environment. Here are just a few things she has done! A real Texas woman, she is leading by example. And she always looks perfect in the process. I know it’s just a hat, but it’s who knows, you might find yourself planting milkweeds to attract Monarch butterflies or hitting a neighborhood trail with your kids when you put it on! May you feel inspired by Laura Bush’s example in more ways than one. 1 Reply to "Field Fashion Inspired by Laura Bush"
Gracious Texas lady….love knowing she enjoys a yearly outdoor adventure with longtime friends.